The London Souls opened for Dumpstaphunk at The Hamilton in Washington, D.C. this past Wednesday. The band consists of lead singer/guitarist Tash Neal, drummer/vocalist Chris St. Hilaire, and newcomer guitarist/vocalist Stu Mahan. On Wednesday night I accompanied my friend Nancy (a freelancer writer covering the event for Relix magazine) to The Hamilton in Washington, D.C. to see Ivan Neville’s band, Dumpstaphunk, perform. Ivan is the son of music legend Aaron Neville. I virtually had unlimited access in this relatively small venue and it was GREAT to be able to move around, get up close and get some great shots. It was quite dark in the venue (as are most concert halls), so I was shooting with ISOs of 4000 and 5000, wide open, with exposure compensation added! Most of these were shot with my Nikon 80-400mm VR lens. While you do get some noise in your images at those higher ISOs, they do not compare with the grain from pushing film in the old days. I love digital! On guitar is Tony Hall (photo #1), Ian Neville and Nick Daniels; on keyboard is Ivan Neville, and the drummer is Nikki Glaspie (formerly with Beyonce’s all-girl band). The show opener was a band called The London Souls. I’ll have a few photos of this band in the next post. In early January I suggested to my friend Karen that we take a try-it class at a local clay studio. She agreed and two days later we found ourselves straddling potter’s wheels and giving it a whirl (literally) for just $35 each (including clay, two hours of instruction, firing and glazing). I had attempted the wheel way back in college. I was surprisingly bad at it and very disappointed because I tend to pick up most creative skills very quickly. Throwing pots on a wheel did not come easily to me back then. Fast forward to January 2011: Jessica, our instructor, showed us how to center ourselves over the wheel and use proper techniques. It made all the difference. I was quite proud of my first attempt. I surreptitiously added a “foot” to my bowl and silently declared that it could easily be included in any Pottery Barn catalog once it was fired and glazed. Karen’s bowl was lovely too even if she didn’t add a foot. Ah, grasshopper, have patience—you’ll get there. When we said goodbye to our perfectly-formed creations, they were the size of cereal bowls. Jessica would later fire and glaze them in the studio’s signature blue color. She told us that we could pick them up in about a month. Six weeks later, I go to pick up our projects. I searched high and low on the shelves for my Pottery Barn-worthy cereal bowl with its lovely perfect foot. Since I didn’t immediately spot my creation, I turned over the pots to see if our names were scribbled into them, courtesy of Jessica. They were. I found my cereal bowl. It had shrunk considerably. I’m fairly certain that Jessica, who was a wonderful instructor, most likely mentioned that the pots would shrink, but I was way too enthralled with clay play to process that very fact. In my head I was dreaming of throwing a plethora of pots, fulfilling orders for organic, artistic inventory for Pottery Barn, even hiring studio assistants to defray the overwhelming workload—making money hand over…wheel! I suppose I could still use it as a cereal bowl but I’d have to go back three times to get a breakfast’s worth of goods. I included the soup spoon for scale. Yes, it may be tiny, but isn’t it the loveliest shade of blue? Behold—my first true creation on the potter’s wheel—a $35 hearing aid caddy! Operators are standing by to take your order. Please add $40.00 for labor, shipping and handling. Please allow two months for delivery. Not available in stores. 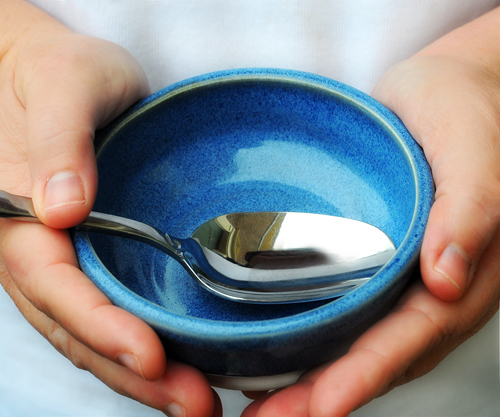 Call in the next five minutes and we’ll throw in the soup spoon, ab-so-lute-ly free! 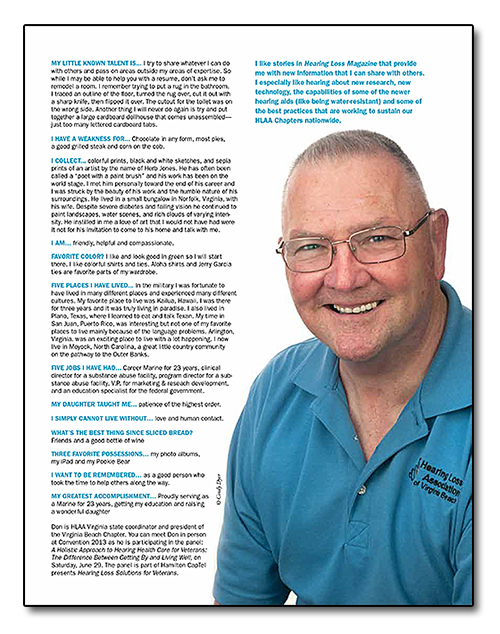 Don Doherty, a member of the Hearing Loss Association of America (HLAA), just made his Seen & Heard profile debut in the March/April 2013 issue of Hearing Loss Magazine. I photographed Don at HLAA’s Convention 2012 in Providence, Rhode Island last June. Other members previously profiled were Danielle Nicosia, John Kinstler, Judy Martin, Anne Taylor, Sam Spritzer, Jeff Bonnell, Eloise Schwarz, Glenice Swenson, Laurie Pullins, Rosemary Tuite and Kathy Borzell, Tommy Thomas, Marisa Sarto, George Kosovich, Gary Trompower and Juliette Sterkens. MY HEARING LOSS… As a Marine infantryman, I lost my hearing or most of it, in Vietnam where I spent 19 months as part of a rifle company (Company A, 1st Battalion, 5th Marines, 1966-1967), following exposure to gun fire, artillery, and other very loud noises. I was 20 years old. The first sign that I lost my hearing was during night patrol or other operations while still in Vietnam. I realized I couldn’t understand what someone was saying if they whispered in my ear. I could hear that they were whispering but I couldn’t understand what the message was. I managed to survive by letting some people know I couldn’t hear, but generally I just faked it and tried to bluff my way through situations. Following my return from Vietnam I was transferred to Puerto Rico where I again had difficulty hearing. This time the jig was up and I was medically evacuated to Philadelphia Naval Hospital where I was issued one hearing aid. I needed two aids, but in those days needing two hearing aids meant discharge, and I still wanted to be a Marine. So I was grateful to have one hearing aid. SAGE ADVICE FOR SOMEONE NEWLY-DIAGNOSED WITH HEARING LOSS… Keep your sense of humor and lose your sense of being different. Most people who know you, know you have a hearing loss, and won’t care. MY FUNNY HEARING LOSS MOMENT… I once went to bed and locked my wife out of the house using a chain lock. She couldn’t get in and enlisted the help of neighbors who eventually used a hacksaw to get into the house. WHEN I GREW UP, I WANTED TO BE A… I always wanted to be a soldier or Marine. I grew up with John Wayne movies and pride in my country. I joined the Marine Corps at my first opportunity and have never regretted that decision. MY FAVORITE CHILDHOOD MEMORY… is of being at my great grandmother’s house in the country. There were woods to explore, forts to dig, turtles, frogs and snakes to find, and quiet moments to fish. It was a magical time in the 1950s when all seemed right with the world. FIRST THING I BOUGHT WITH MY OWN MONEY… When I was a child we used to get a pair of shoes each year from Ruby’s Shoes, a small store in Westmont, New Jersey. The shoes were $5 a pair. I always had a choice of brown or black shoes. My dad said if you want different styles and want to spend more money then you have to get a job. So I delivered bleach and got a paper route and was eventually able to buy a $10 pair of shoes. PETS? I have a small teacup poodle that I named “Pookie Bear” and who is the joy of my life. She gives me licks and makes me laugh. Even though we graduated from Puppy Obedience School she doesn’t always listen. But then, I don’t always “listen” well either! THE HARDEST THING I’VE EVER DONE… was graduate from college while in the military. It took me 10 years and five colleges but I was finally able to do it. I now have graduate degrees but my hardest courses were as an undergraduate, especially the math. IN MY SPARE TIME, I… am an avid reader especially of action novels. I love Clive Cussler and Tom Clancy. I get to a point where I just can’t put the book down. As an HLAA Chapter president I am also looking for and reading anything of interest that I can share with the hearing loss community especially if it relates to a new or improved hearing assistive technology. I MOST DEFINITELY AM NOT… a dancer or party person. Large noisy places are difficult for me with two hearing aids. I have learned to choose my hearing environments so that I have a better chance at understanding what is going on. Even with directional mics, speechreading, and a telecoil—a party environment is still just a lot of noise. Besides I have so many other things I can do. I MISS… being able to hear like I used to or like I would want to, but then I wonder how my life would be different. For the last 46 years I have learned and adapted to my hearing loss. Many times my drive to achieve or to excel has been in an effort to overcompensate for something I didn’t have which was good hearing. I knew in my mind as long as I did things better than anyone else, I was able to compete and be successful at whatever challenge I undertook. I think it’s a fear that many with hearing loss have that in order to be accepted we have to be better than our peers. It’s like “bluffing” or pretending to hear something when you don’t. You’re accepted and part of the group without having to draw attention to the fact you are different and have more challenges that most folks who can hear effortlessly. Yes, I miss hearing a lot, and my life would be easier in many ways, but no, my life wouldn’t be the same and I wouldn’t have the strength and adaptability that I have today. HAPPINESS IS… a choice, an expectation and a state of mind. I see happiness as a choice I make every day regardless of where I am or what I am doing. I have been lonely on occasion when stationed overseas and far from home but I have always found something to be grateful for. I try to surround myself with people who laugh and are having fun in their life. By the same token I try to avoid those who are perpetually upset, complaining, sad or angry. HOBBIES? My hobbies include reading, learning new computer programs, using Facebook and Twitter, playing with my dog, and doing work for the HLAA Chapter. I recently purchased a new iPad and am learning and playing with many of the applications I find. I am never bored and can always find something to do. WHO HAS HAD THE MOST INFLUENCE IN YOUR LIFE? A Roman Catholic nun by the name of Sister Mary Walter was one of the most scholarly and understanding persons I know. She believed in my ability to get a college education regardless of the subject, the challenge or level of difficulty. As the psychology department chair she was both humble in character and rich in the ways of life. She lived on campus and her students more or less adopted her. I remember fondly her inspiring words “You can do this!” I was able to graduate from Alvernia College in Reading, Pennsylvania, with honors (and a hearing loss) because of her. PEOPLE WOULD BE SURPRISED THAT I… am shy but might not show it, am emotional with sad movies or books (especially where an animal dies like in Old Yeller), can write poetry, collect art, will never go camping in anything more rustic than Holiday Inn, and that I still get messed up with directions! MY LITTLE KNOWN TALENT IS… I try to share whatever I can do with others and pass on areas outside my areas of expertise. So while I may be able to help you with a resume, don’t ask me to remodel a room. I remember trying to put a rug in the bathroom. I traced an outline of the floor, turned the rug over, cut it out with a sharp knife, then flipped it over. The cutout for the toilet was on the wrong side. Another thing I will never do again is try and put together a large cardboard dollhouse that comes unassembled—just too many lettered cardboard tabs. I HAVE A WEAKNESS FOR… Chocolate in any form, most pies, a good grilled steak and corn on the cob. I COLLECT… colorful prints, black and white sketches, and sepia prints of an artist by the name of Herb Jones. He has often been called a “poet with a paint brush” and his work has been on the world stage. I met him personally toward the end of his career and I was struck by the beauty of his work and the humble nature of his surroundings. He lived in a small bungalow in Norfolk, Virginia, with his wife. Despite severe diabetes and failing vision he continued to paint landscapes, water scenes, and rich clouds of varying intensity. He instilled in me a love of art that I would not have had were it not for his invitation to come to his home and talk with me. I AM… friendly, helpful and compassionate. FAVORITE COLOR? I like and look good in green so I will start there. I like colorful shirts and ties. Aloha shirts and Jerry Garcia ties are favorite parts of my wardrobe. FIVE PLACES I HAVE LIVED… In the military I was fortunate to have lived in many different places and experienced many different cultures. My favorite place to live was Kailua, Hawaii. I was there for three years and it was truly living in paradise. I also lived in Plano, Texas, where I learned to eat and talk Texan. My time in San Juan, Puerto Rico, was interesting but not one of my favorite places to live mainly because of the language problems. Arlington, Virginia. was an exciting place to live with a lot happening. I now live in Moyock, North Carolina, a great little country community on the pathway to the Outer Banks. MY DAUGHTER TAUGHT ME… patience of the highest order. I SIMPLY CANNOT LIVE WITHOUT… love and human contact. I WANT TO BE REMEMBERED… as a good person who took the time to help others along the way. MY GREATEST ACCOMPLISHMENTS ARE… proudly serving as a Marine for 23 years, getting my education and raising a wonderful daughter. Don is HLAA Virginia state coordinator and president of the Virginia Beach Chapter. You can meet Don in person at Convention 2013 as he is participating in the panel: A Holistic Approach to Hearing Health Care for Veterans: The Difference Between Getting By and Living Well, on Saturday, June 29. The panel is part of Hamilton CapTel presents Hearing Loss Solutions for Veterans. I like stories in Hearing Loss Magazine that provide me with new information that I can share with others. I especially like hearing about new research, new technology, the capabilities of some of the newer hearing aids (like being water-resistant) and some of the best practices that are working to sustain our HLAA Chapters nationwide. 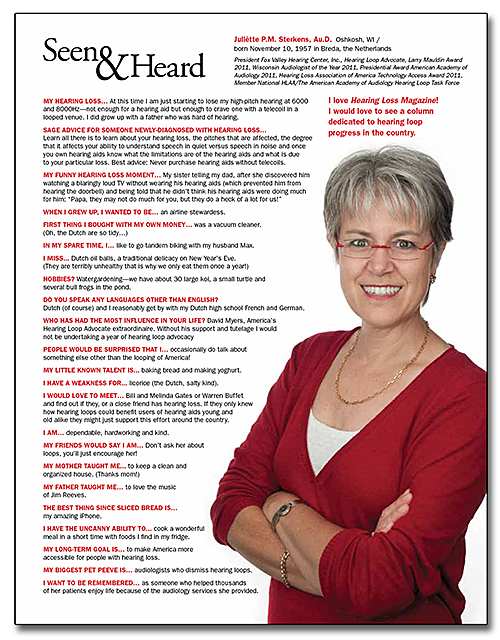 Juliette Sterkens, a member of the Hearing Loss Association of America (HLAA), just made her Seen & Heard profile debut in the March/April 2013 issue of Hearing Loss Magazine, which just arrived in member mailboxes. I photographed Juliette at HLAA’s Convention 2012 in Providence, Rhode Island last June. Other members previously profiled were Danielle Nicosia, John Kinstler, Judy Martin, Anne Taylor, Sam Spritzer, Jeff Bonnell, Eloise Schwarz, Glenice Swenson, Laurie Pullins, Rosemary Tuite and Kathy Borzell, Tommy Thomas, Marisa Sarto, George Kosovich and Gary Trompower. MY HEARING LOSS… At this time I am just starting to lose my high-pitch hearing at 6000 and 8000Hz—not enough for a hearing aid but enough to crave one with a telecoil in a looped venue. I did grow up with a father who was hard of hearing. SAGE ADVICE FOR SOMEONE NEWLY-DIAGNOSED WITH HEARING LOSS… Learn all there is to learn about your hearing loss, the pitches that are affected, the degree that it affects your ability to understand speech in quiet versus speech in noise and once you own hearing aids know what the limitations are of the hearing aids and what is due to your particular loss. Best advice: Never purchase hearing aids without telecoils. WHEN I GREW UP, I WANTED TO BE… an airline stewardess. THE FIRST THING I BOUGHT WITH MY OWN MONEY… was a vacuum cleaner. IN MY SPARE TIME, I… like to go tandem biking with my husband Max. HOBBIES? Watergardening—we have about 30 large koi, a small turtle and several bull frogs in the pond. DO YOU SPEAK ANY LANGUAGES OTHER THAN ENGLISH? Dutch (of course) and I reasonably get by with my Dutch high school French and German. WHO HAS HAD THE MOST INFLUENCE IN YOUR LIFE? David Myers, America’s Hearing Loop Advocate extraordinaire. Without his support and tutelage I would not be undertaking a year of hearing loop advocacy. PEOPLE WOULD BE SURPRISED THAT I… occasionally do talk about something else other than the looping of America! MY LITTLE KNOWN TALENT IS… baking bread and making yoghurt. I HAVE A WEAKNESS FOR… licorice (the Dutch, salty kind). I WOULD LOVE TO MEET… Bill and Melinda Gates or Warren Buffet and find out if they, or a close friend has hearing loss. If they only knew how hearing loops could benefit users of hearing aids young and old alike they might just support this effort around the country. I AM… dependable, hardworking and kind. MY FRIENDS WOULD SAY I AM… Don’t ask her about loops, you’ll just encourage her! 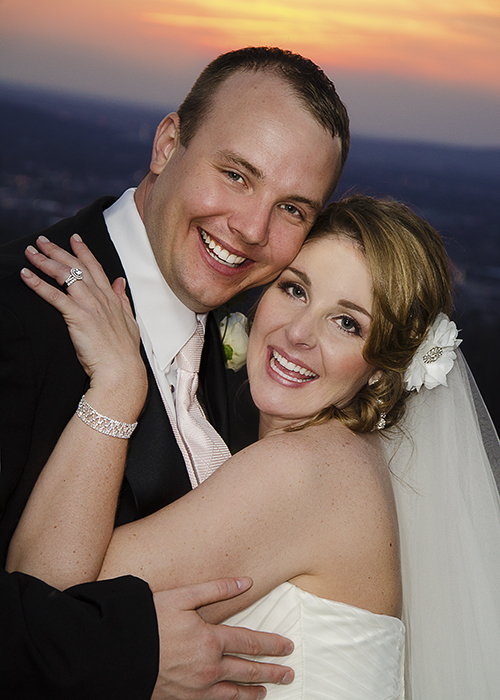 MY FATHER TAUGHT ME… to love the music of Jim Reeves. THE BEST THING SINCE SLICED BREAD IS… my amazing iPhone. I HAVE THE UNCANNY ABILITY TO… cook a wonderful meal in a short time with foods I find in my fridge. 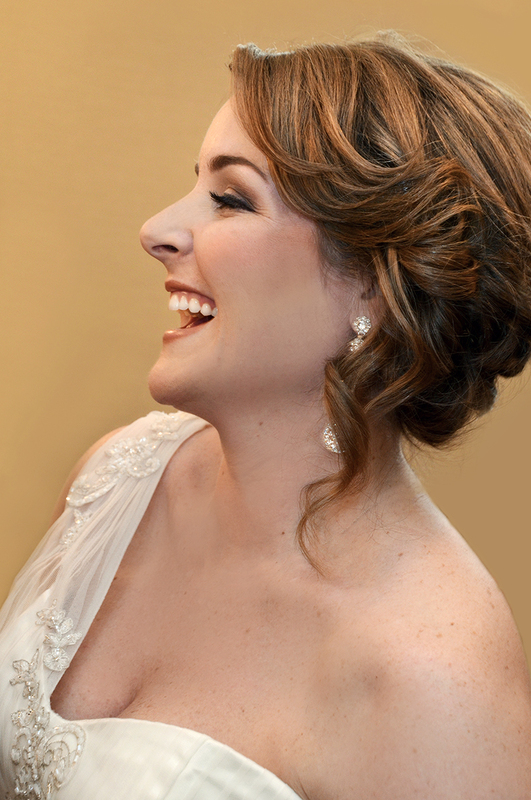 MY LONG-TERM GOAL IS… to make America more accessible for people with hearing loss. MY BIGGEST PET PEEVE IS… audiologists who dismiss hearing loops. I WANT TO BE REMEMBERED… as someone who helped thousands of her patients enjoy life because of the audiology services she provided. I love Hearing Loss Magazine! I would love to see a column dedicated to hearing loop progress in the country.